Watch the best live concert video ever made! – music. travel. repeat. Watch the best live concert video ever made! I’m not sure how their label hasn’t found this on YouTube and taken it down yet (and maybe after my posting it they will), but here is one of the best live concert films ever made. It’s from U2’s 2001 Elevation Tour, live from Boston. 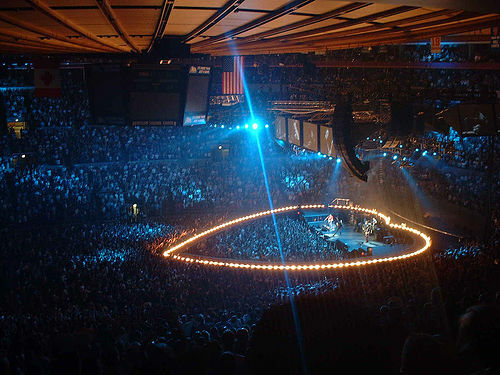 To me, this was U2 in its prime. They were at the peak of their career and influence, they had just put out their album All That You Can’t Leave Behind which was chock full of classics from beginning to end, they had a creative new stage layout and HD and multi-camera recording technique in place. Socially, Bono was in the midst of his big ONE Campaign against poverty and his global influence was booming. Historically, it was a significant moment as well because the albums popularity and the Elevation Tour took place around the tragedy of 9/11 and for many living in NYC at the time, myself included, the album became a soundtrack to the healing process. Next Post Next post: What is “atmospheric English indie pop” music? This is.